Youssef Antoun Makhluf was born on May 8, 1828, one of five children born to Antoun Zaarour Makhlouf and Brigitta Chidiac. They lived in the village of Bekaa Kafra. He became a Maronite monk at Annaya Abbey at the age of twenty. 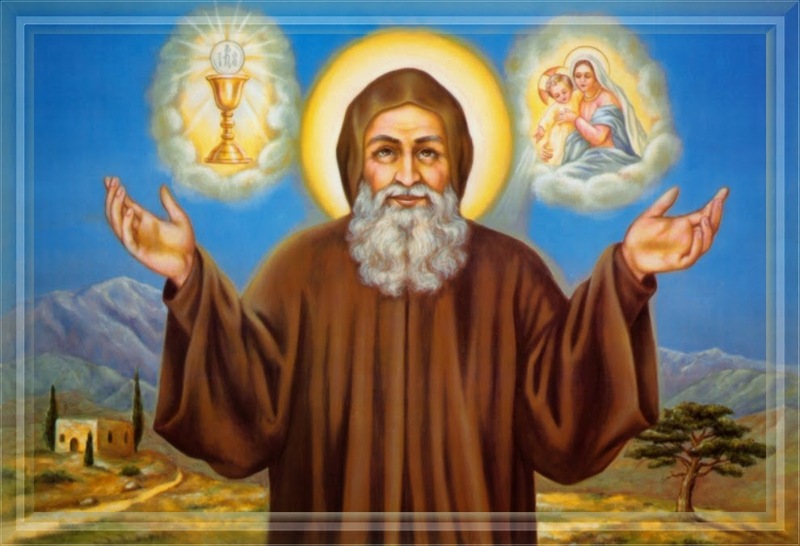 As a monk and took the name Charbel, after a Christian martyr in Antioch from the 2nd century. He was even renowned among his Islamic neighbors. He possessed miraculous abilities and loved the Holy Eucharist. Charbel died in 1898. He was beatified in 1965 and canonized in 1977 by Pope Paul VI (r. 1963-1978).